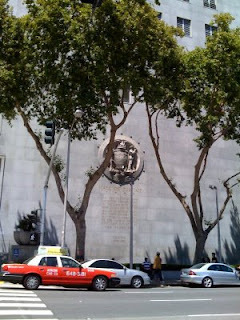 Here is the Hall of Justice in San Francisco where I had to report this morning for jury duty. With a name like Hall of Justice, I expected to see Superman or something. I'm getting ready now for the selection process for a criminal case. It will last about a week if I'm chosen. Wish me luck that it's a gay bashing case so I can be excused. Darling Todd if it's a gay case it could be Leopold and Loeb those naughty school boys have been in all the papers lately.